A winter ride down Commercial Street in Provincetown. It's one-way for cars but two-way for bicycles along Commercial Street in Provincetown. A sunny winter bike ride in Provincetown. Commercial Street at Standish Street c. 1890. Commercial Street at Standish Street in 1976. 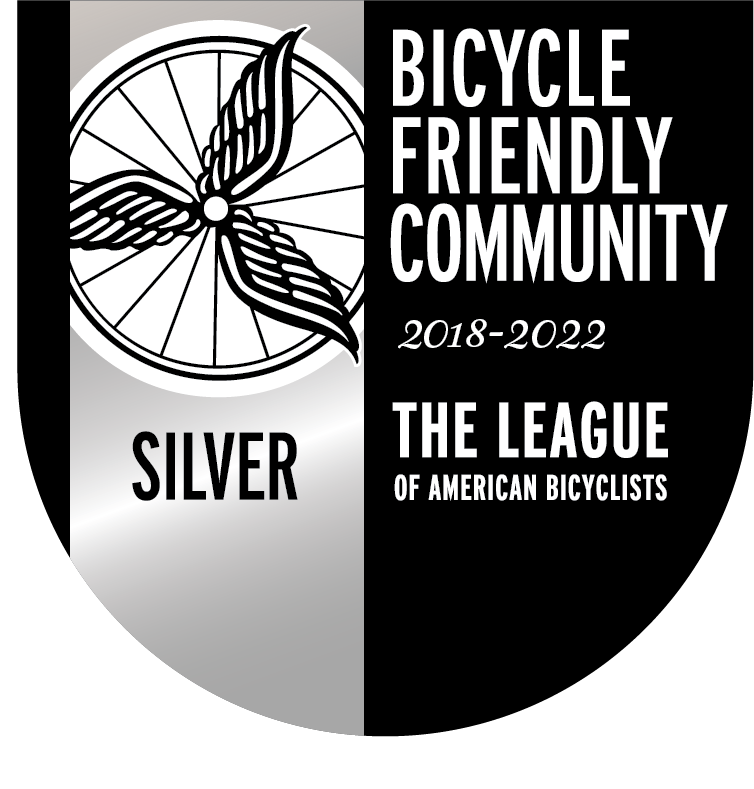 The Bicycle Committee is pleased to announce that the Town of Provincetown has been designated as a Silver-level Bicycle Friendly Community (BFC) by the League of American Bicyclists. Provincetown is the smallest town awarded in this nationwide round of applications and joins eleven other Massachusetts towns and cities honored by the BFC program. The Silver-level award ranks Provincetown at the same level as Nantucket and Boston and as the first Silver community on Cape Cod. 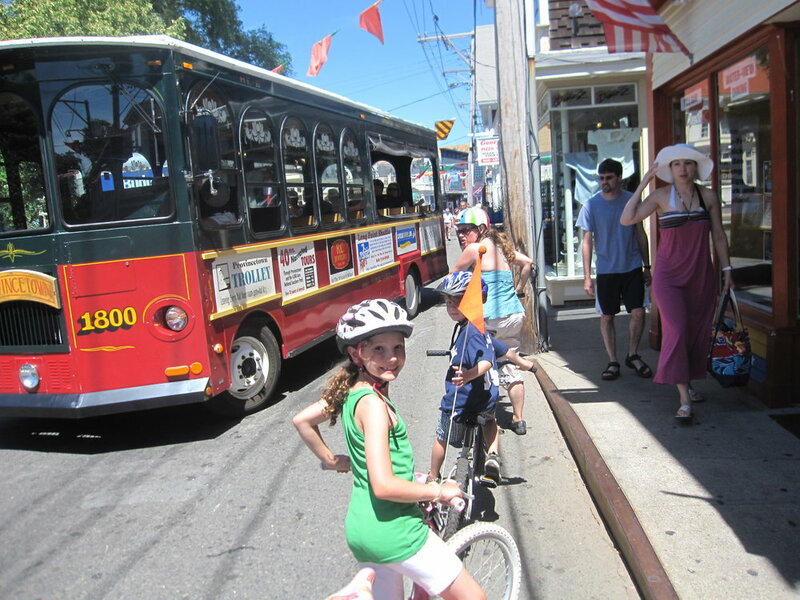 What makes Provincetown Bicycle Friendly? Bike culture is an indicator of how normal it is to ride a bike and to see others on their bikes. 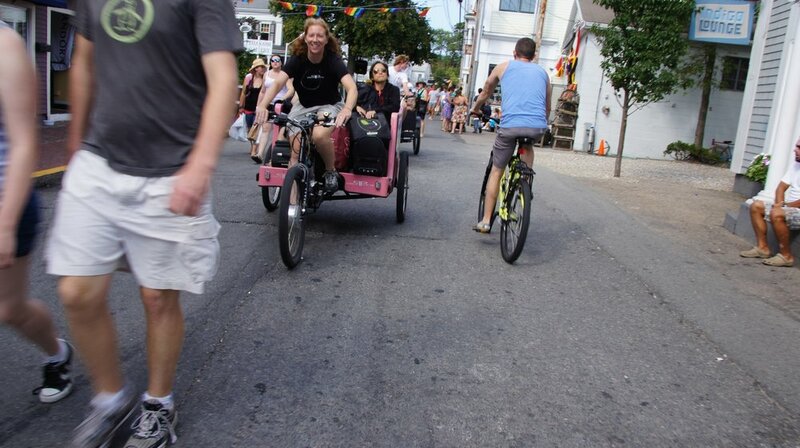 You can see Provincetown’s culture of everyday bicycling reflected in its music, art, and history. Town is committed to bicycling through planning, designing, and funding new bicycle projects. Many policies are already in place to support these initiatives. We’ve compiled lots of details on our year-round ridership, peak bike counts in the summer, crash statistics, and our low-stress bike network. The town’s Bicycle Committee and Police Department host and participate in events to engage with residents and visitors, have active online presences, and provide free safety gear and information.